By 2023 the government will invest an extra £20 billion a year in the NHS. Your local NHS wants to know what you would do to make care better. Healthwatch Sheffeld has launched a survey ‘What Would You Do?’ to gather feedback from the public about the NHS Long Term Plan.Now you can help make sure Sheffield invests the money in the right areas by sharing your ideas. 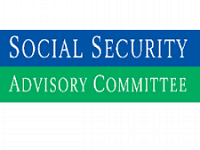 Inclusion London is submitting evidence to the Government’s Social Security Advisory Committee – not just from the London area but nationwide – and would like to hear about your experiences of the Universal Credit claimant commitment to inform their evidence by Monday April 15. The Guide Dogs Association is making a call to the Government to speed up their promises over Talking Buses by asking people to contact their MP.Two years ago, it was announced that all buses nationally were to become Talking Buses, meaning that they would be fitted with audio visual announcements. However they still haven’t told bus companies when and how this will happen. The Care Quality Commission is looking for people willing to be seen on screen talking about their experiences of care, as part of a new year-long campaign.Case studies of people’s experiences of care always play a vitally important part of their campaigns, with stories from a diverse range of people – including people working in health and social care settings. 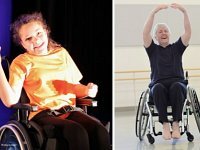 Let your creativity flourish and gain the confidence to move in new ways through Northern Ballet’s specialist wheelchair programme returning this April in Leeds. A group who attend Westfield Sports Centre are looking for new members to join their disabled swim session every Thursday between 7:30-8:30pm at Westfield Sports Centre. Disabled people can relearn to swim, exercise, regain confidence in the water or just enjoy the relaxation in a friendly and sympathetic environment. The new ‘Care at Night’ service developed collaboratively between Sheffield City Council and the Sheffield Clinical Commissioning Group (CCG) launches on May 6th. The collaboration aims to deliver person centred care through a jointly funded service. The team creating the documentary are also keen to have people with learning disabilities involved in the filming and production of the programme in paid roles. Would You Like To Help Out At Sheffield Doc/Fest? Sheffield Doc/Fest one of the world’s biggest documentary film festivals, returns to the city this summer – and the organisers are looking for volunteers.The event, which started in 1994, takes place from June 6-11 and as usual will consist of films, speeches and presentations on a wide variety of different subjects.